Amphenol Alden's products can be found in equipment used throughout the plan for care, from the initial diagnosis through treatment to full recovery. The application of ultrasound, RF, or microwave energy to reduce fat, tighten skin, and remove blemishes is rapidly expanding. These devices require a wide variety of energy delivery and process monitoring solutions delivered in an ergonomic and aesthetically pleasing package. 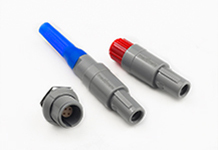 Various applicators need to be changed over quickly, safely, and easily, making the Amphenol Alden line of Pulse-Lok auto-coupling connectors and cable assemblies the ideal choice for this rapidly growing market segment. Equipment used in response to emergency situations has to be rugged and dependable in any environment. Lives are at stake and every second counts. Amphenol Alden provides cable assemblies for inside-the-box applications as well as the paddle assemblies that interface with the patient. Emergency response teams have come to appreciate the simple, safe, and reliable features of our defibrillator cable assemblies as they administer the energy needed to save lives. Measuring and mapping very low electrical pulses from inside the human heart requires a vast array of data points with tremendous signal integrity. These data points identify where arrhythmias are occurring and where to apply ablative energy. Amphenol Alden provides high density connectors and cable assemblies that surgeons count on in the catheter lab every day for repeatable, reliable, and accurate heart mapping intelligence. When single use disposable cable assemblies are the best option for cost effective risk mitigation, Amphenol Alden can deliver. We build customer-specific designs in high volume, at low cost, and with uncompromised quality and service. Imaging has become increasingly important in the diagnostics, surgery, therapy delivery, and monitoring phases of healthcare. As new technologies are deployed to enhance image quality while reducing overall cost, Amphenol Alden has consistently delivered ideal solutions. 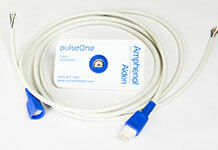 Amphenol Alden cable assemblies and connectors support Fluoroscopy, X-Ray, CT, MRI, PET, and other imaging modalities. 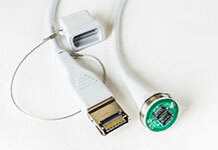 When endoscopes are deployed, image is everything and the quality of the cable assembly plays a critical role in delivering an accurate picture. This vital linkage must transmit clear images during its first usage as well as after hundreds of cleaning and sterilization cycles. 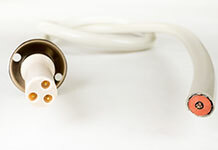 Whether it is fiber optic, copper, or a hybrid of both, Amphenol Alden designs and delivers endoscopy camera cable assemblies that meet your demanding expectations. Whether in the hospital or at home, monitoring vital signs plays an important role in determining the efficacy of any medical treatment. 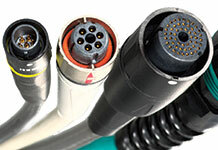 Human factors, from ergonomics to aesthetics, must be considered when designing monitoring cables and connectors. A simple and secure solution is of the utmost importance as patients will see and use these assemblies frequently. 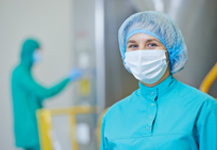 Amphenol Alden always considers ease of use and safety when designing products for patient monitoring and any other applications.